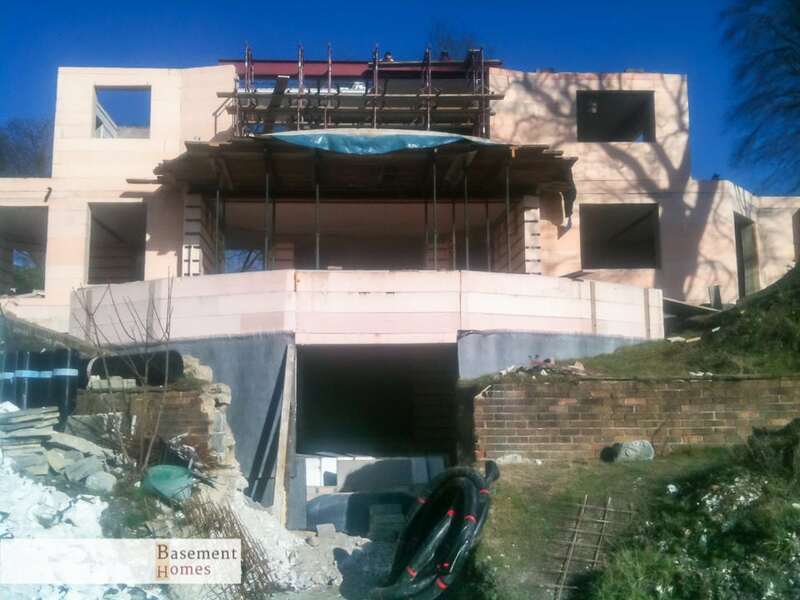 Most people, unless they are in the industry or been watching various programmes such as Grand Designs and took notice wonʼt have heard about this system of build, so let me tell you a little about ICF and let you do some researching of your own also and you will then understand why to build this way. 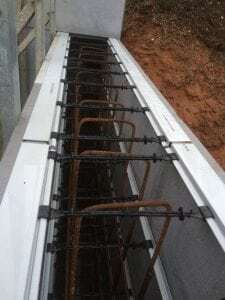 Insulated concrete formwork to be precise, below is an example of an ICF basement wall before the concrete core is poured into the wall, this is braced for alignment and has an 80mm Extruded Polystrene board on either side of a 300 mm core. 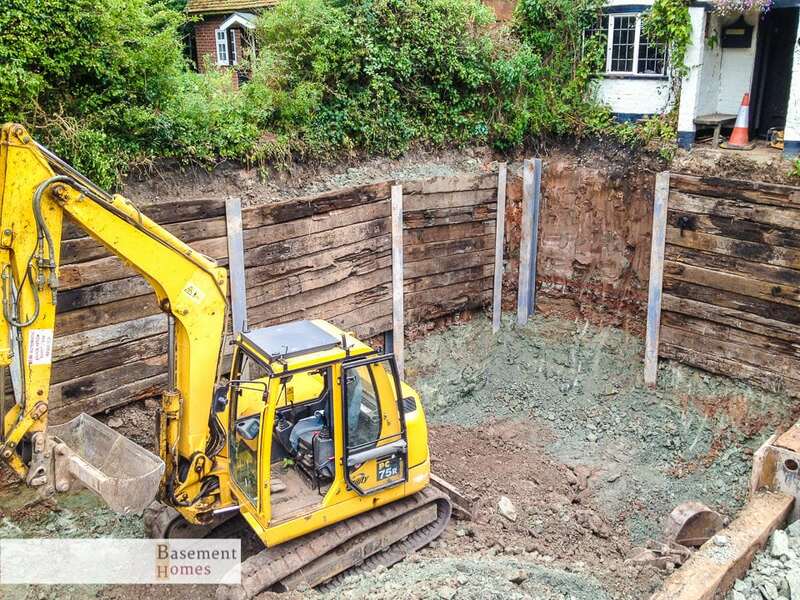 After many years of using traditional ways of building, we discovered a great system and have never gone back since, we are very experienced in this form of building and have done a wide range of projects varying in size from a small extension to 24 apartments with underground car park. 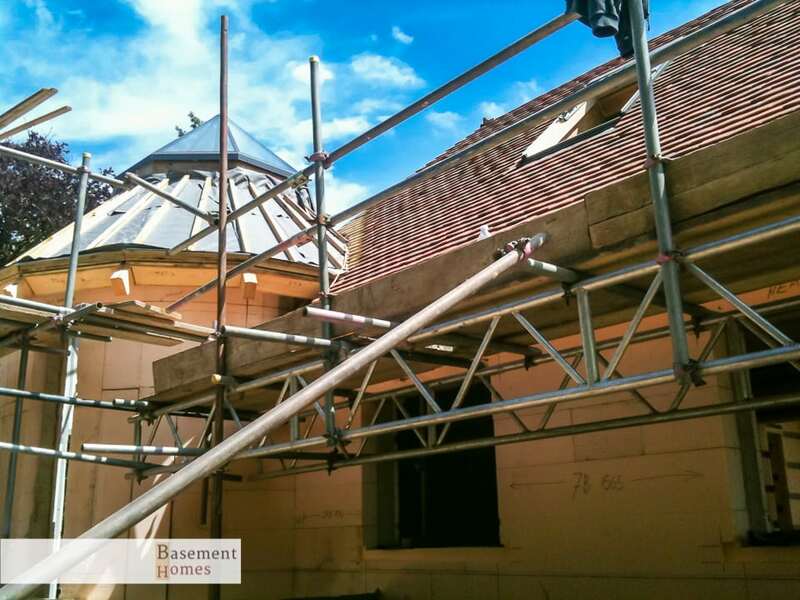 ICF is a building system with great benefits, we can work in all weather and conditions at a good speed, giving you a great build quality and performance. ICF is a high performance building envelope, high thermal efficiency and air tightness, making it a great choice of build. ICF is a great system and extremely flexible, easy to follow architects designs, curves any building shape can be formed. Great fixing points internally and externally, can be rendered straight away, all modern cladding systems, brick slips, timber cladding a wide range of external finishes available. Final finish for the previous above picture, yes what a change you may say, that lego brick that you probably thought was the finish or described it as, becomes a fantastic house with all those benefits and advantages. Itʼs no way as easy as building Lego trust me, so always best to leave it in safe hands with the experts in this industry and people you can rely upon. Reinforcement made easy, even better lower U values in a basement due to surrounding ground. Great use of available space and many options with design using ICF.